A British film crew says it has found the last American defector still living in North Korea — a U.S. Army private who crossed over to the Stalinist state in 1962 and says he is glad he did. Pvt. James Dresnok lives in the capital Pyongyang, where he says he likes his "simple life," said filmmaker Nicholas Bonner, who met him there in May and plans to make a documentary about him. "To us he's the most fascinating character because he's still there," Bonner said Sunday. The U.S. military has said that Dresnok, from Norfolk, Virginia, left the army in August 1962 at age 21. The film crew met with Dresnok and with Charles Jenkins, an accused U.S. army deserter from North Carolina who has since left North Korea for Japan. "We were under the supervision of the North Korean military," Dresnok told the filmmakers according to their news release. "They took good care of us and they requested us to teach English to military personnel." Dresnok and Jenkins told the filmmakers that two other American servicemen had died in North Korea of natural causes — Pvt. Larry A. Abshier of Urbana, Illinois, who the U.S. military says went missing from his unit in May 1962 at age 19, and Cpl. Jerry W. Parrish of Morganfield, Kentucky, who is accused of deserting in December 1963 at age 19. Jenkins has also told officials in Japan that two American servicemen he knew in North Korea had died and that one still lives there, according to Japanese news reports. Jenkins, who is still wanted by U.S. authorities on charges he deserted his post in 1965, arrived in Japan last month for medical treatment and to be reunited with his wife. His wife, Hitomi Soga, was kidnapped from Japan by North Korean agents in 1978 and married Jenkins two years later. She returned home to Japan in 2002 along with other Japanese who had been abducted. Bonner and fellow filmmaker Daniel Gordon plan to film interviews with Dresnok in September, following an agreement with the North Korean government. They have previously made two films in the secretive country, in association with the BBC and with cooperation from Pyongyang. Their documentary "The Game of their Lives" about North Korea's soccer team at the 1966 World Cup won several international awards. Dresnok remains "shrouded in the most mystery," Bonner said in Beijing, where he is based. "He's the man no one knew about." "I did not want to stay in DPRK at first," Dresnok told the film crew, referring to North Korea by the initials of its formal name. "I wanted to go to Russia," he said. "Having crossed, after a few months, I began thinking it over and decided to remain," he is quoted as saying. "I'm glad I did, because about 10 years ago, Russia changed from socialism to capitalism. If I was in Russia right now, I would be out of work," he said. "It would be the same if I returned to America. I find it more convenient to live among peaceful people, living a simple life." He said that while the U.S. military had taught its soldiers that North Koreans were "evil communists," he never believed that depiction. "They are human here," he said. "Of course, there is an ideological difference, but that is the only difference." 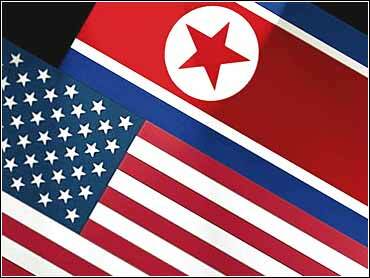 The United States and North Korea fought each other in the 1950-53 Korea War, and their relations remain tense to this day. Washington still keeps troops in ally South Korea as a deterrent against North Korea, since the war ended in a truce but not a peace treaty. North Korea's repressive government rarely allows foreign journalists into the country.